Fundamentalists never knew whom to trust. It made sense. After all, since the 1920s, fundamentalists had been telling one another that mainstream institutions had gone to the dogs. 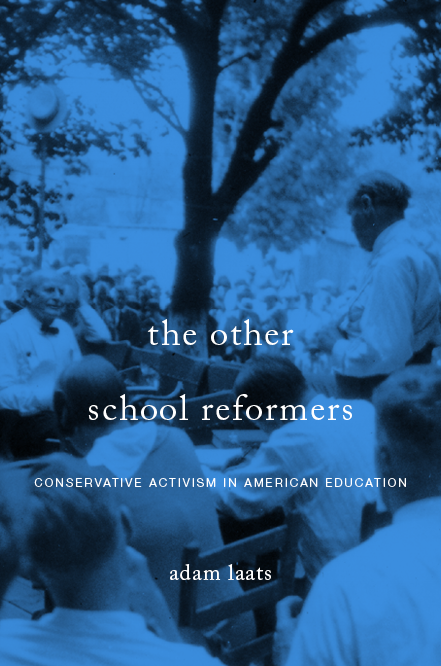 Colleges like the University of Chicago, magazines such as Time, denominations such as the Methodists…all had once been trustworthy—in the eyes of fundamentalists—and all had succumbed to a deadly mania for secularism and liberalism. Any school, any church, any preacher could have its or his head turned by the siren song of liberal theology. Any school could slide into soul-damning modernism at any time. This deep skepticism of everyone outside of the charmed circle of trusted fundamentalist institutions, ironically, made it easier for scam artists like George Martin to fleece the faithful. How did he do it? It wasn’t a quirk, or an isolated case. Rather—at least, this is the argument I’m making in Fundamentalist U—con men like Martin were able to take advantage of a central, defining element of American fundamentalism. Here’s the story: Martin ran an orphanage and college in Hornell, New York. In the 1950s, he solicited funds and donations for this fundamentalist project. Fundamentalists were no dummies; before they sent him money, they wanted to know he was trustworthy; they wanted to know that he had good theology and sound finances. They wanted to know their money was really going to spread the Gospel and to teach new generations of fundamentalists. But how could they know for sure? Because fundamentalism was a staunchly interdenominational protest movement, it had no governing boards, no presbyteries, no denominational supervision. The only way for fundamentalists to know if an institution was trustworthy—financially or theologically—was by reputation and rumor. So vouching played a key role in defining fundamentalism in practice. Fundamentalists nationwide looked to reliable authorities to vouch for various institutions. And Martin knew it. He boasted of his connection to the most venerable evangelical institution of all, the Moody Bible Institute. And he advertised in impeccably trustworthy fundamentalist magazines such as Sunday School Times. Nevertheless, rumors continued to circulate that Martin’s operation was nothing but a scam. Local fundamentalists denounced him, and secular journalists from Maclean’s magazine published a damning expose. Donations, the Maclean’s article described, didn’t fund gospel work but rather luxury cars and houses for Martin and his family. That brings us, though, to the fundamentalist pickle. Since the 1920s, fundamentalists had warned one another that mainstream magazines such as Maclean’s were not to be trusted. After all, such magazines called ALL fundamentalists con men and scam artists. Even the most respected institutions such as Moody Bible Institute were not much respected outside of fundamentalist circles. Some fundamentalist leaders tried to police their own ranks. Keenly aware of their responsibility to their fundamentalist readers, the editors of Sunday School Times interrogated Martin about his finances. In 1954, they demanded more information—detailed information—about Martin’s income and expenses. They demanded full disclosure. What could SST do about it? Not nothing, but not as much as editor Harry F. Jaeger hoped. In the world of American fundamentalism, Jaeger could not simply kick Martin out. There was no process for disbarment, excommunication, or banishment. But SST and other fundamentalist institutions weren’t powerless. Jaeger sent a powerful message to the fundamentalist community by pulling Martin’s ads from SST. The magazine would no longer offer Martin its implicit endorsement. And Jaeger could and did use his influence to sway other fundamentalist leaders. Under the circumstances, it seems to me that his work should not be presented to the Christian public for support. What did MBI do? As usual in the world of American fundamentalism, they were extremely hesitant to condemn a fellow fundamentalist, especially if the evidence came mainly from secular critics. But they didn’t ignore the criticisms, either. To start, they stopped running Martin’s ads in Moody Monthly, in spite of Martin’s protests. The fundamentalist public, after all, had grown accustomed to unfair treatment at the hands of mainstream journalists. Was Martin merely being misrepresented by hostile secular and liberal critics, as he claimed? Or did he really take the money of well-meaning fundamentalist backers and buy himself fancy cars and houses, as his critics insisted? There was no easy way for the fundamentalist community to know for sure. They relied almost exclusively on reputation. If Martin claimed to be part of the Moody Bible Institute alumni community, then he must be trustworthy…right? Only years later, when local evangelical sources had corroborated the charges made by the Maclean’s reporter did MBI administrators begin sounding a more clearly negative note. Even then, in 1968, MBI administrators did not actively denounce Martin and his fraudulent school. Rather, they only responded to inquiries with batches of clippings about Martin’s depredations. It made fundamentalists nervous. It was very difficult to tell who was really representing the fundamentalist movement and who wasn’t. Both legit schools and fakes would be denounced in the mainstream press as bogus. And established institutions such as Moody Bible Institute were extremely reluctant to expose anyone’s shady dealings. Fundamentalism was built on a shaky structure—supported mainly by reputation and rumor. And this set-up made for predictable abuses. Scam artists like George Martin weren’t the exception, but rather a predictable result of the lack of any higher (human) authority in the world of twentieth-century fundamentalism. Do you think the cultural climate played even a small role in the way fundamentalists operated, where they would not more publicly denounce abuses when they saw them so clearly like in Martin’s case? That even though there was no centralized structure or governing boards among fundamentalists, that institutions like MBI would have been more vocal about Martin’s scam rather than just responding to inquiries had mainstream media not looked at all fundamentalists as con men? And do you think the cultural climate plays a role in abuses that take place in churches today that are covered up? I’m not saying this would be the only reason, certainly not. But do you see the cultural climate playing a role at all? I think it plays an enormous role. As you know, I’m no creationist. I’m not evangelical; I wasn’t raised evangelical. So I’m not speaking as a partisan of one side or other in the long-running evangelical debates about these sorts of things. I DO strongly believe that both legitimate and illegitimate evangelical institutions have used the deeply held distrust of mainstream sources to their advantage. So, for example, why did Bob Jones University remain opposed to racial integration so much longer than even other southern evangelical schools such as Liberty? In their rhetoric, BJU leaders ALWAYS emphasized the fact that mainstream and neo-evangelical critics of BJU’s racial policies were just “out to get” BJU. And BJU loyalists bought it. Not always, but sometimes. Because after all, mainstream and neo-evangelical critics really WERE out to get BJU, and those folks really DID tell lies about the Bob Joneses. Just not–IMHO–when it came to racial segregation.